It is unlikely that anyone who first brings a companion parrot into his or her life has the idea that it will be a temporary situation. Unfortunately many parrots do not stay in their homes because their caregivers don't have the information they need to provide the behavioral guidance that keeps them tame. With over thirty years of bird experience and her theory of Nurturing Guidance, Sally Blanchard's practical advice shows you why biting and aggression are actually the easiest behavioral problems to understand, prevent, and solve. 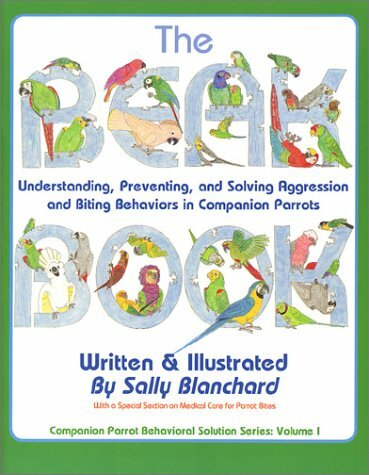 Sally Blanchard's long awaited Beak Book will play an instrumental role in keeping reader's parrots in their homes.